Our Brisbane and Gold Coast security systems are a cost-effective solution to deliver 24/hour surveillance for events, properties, construction sites, warehouses and many other commercial and industrial applications. The solar surveillance systems are Australian-made, so you’re assured of quality and reliability. Being 100% solar powered, these systems are wireless and have no ongoing running costs. ETC Hire’s solar surveillance systems are ideal for monitoring wet days, weekends, evenings and public holidays, when sites are empty. These also have the capabilities to provide surveillance on multiple sites. Another benefit of our solar surveillance systems is the inbuilt time lapse feature. While the solar camera is discrete, it has up to 30 motion detectors which efficiently cover large areas. In addition to this, you can visually access your property remotely around the clock via your smart device. All images recorded by the security system are stored to a cloud database and are accessible for up to 30 days. 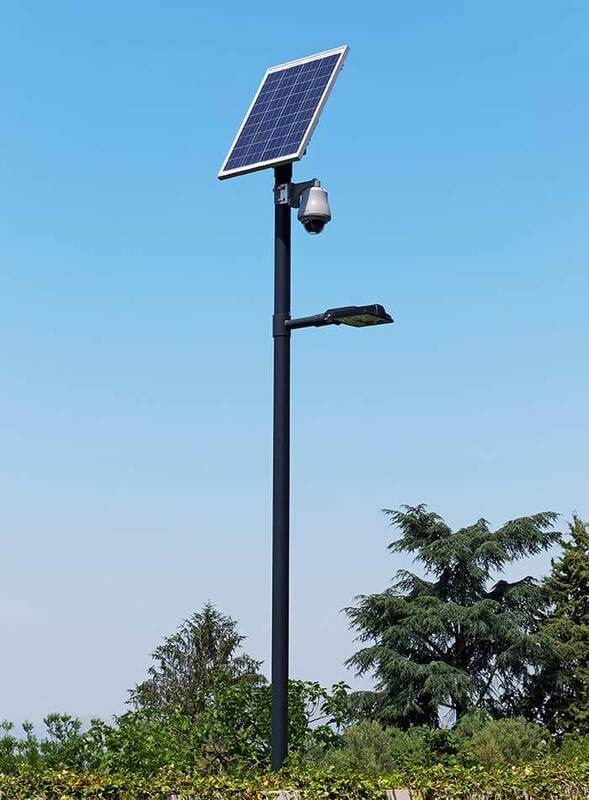 Due to all these great features, solar surveillance systems are very popular in the traffic management hire industry. If the system is attached to our portable traffic lights, all movements and red light runners can be monitored. Also, by attaching the system to a VMS board, you can monitor all traffic conditions and issue warnings to motorists such as: flood warnings up ahead, roads closed and traffic delays, etc. Because the system is designed to be remotely controlled, you can also monitor what conditions surround or effect the roads where it’s located. This allows you to remotely display your new message/symbol from another location about the current conditions on-road. Our solar PTZ cameras are designed and made in Australia to perform at peak levels under Australian conditions. These cameras can run individually or in tandem with almost any other piece of traffic control hire equipment we have available. The Solar PTZ-CAM is a durable 2 MPixel 4G/WiFi solar powered surveillance camera designed for tough conditions in remote or unattended places. Since this camera runs on solar power, it does not require any other external power source. The images recorded on the camera are dispatched via a 3G/4G modem to a computer, mobile phone, or web based monitoring ‘dashboard’. The camera also has a ‘time-lapse’ mode which can be used to monitor construction, traffic and water levels. It can record HD video 24/7 for up to a month before it begins overwriting data. Live video can be accessed at any time and can be downloaded or viewed. Still images are also backed up on an internal SD card. For sites with more than one camera, only the host camera needs a 4G modem and all the other cameras communicate to the host camera via WiFi.